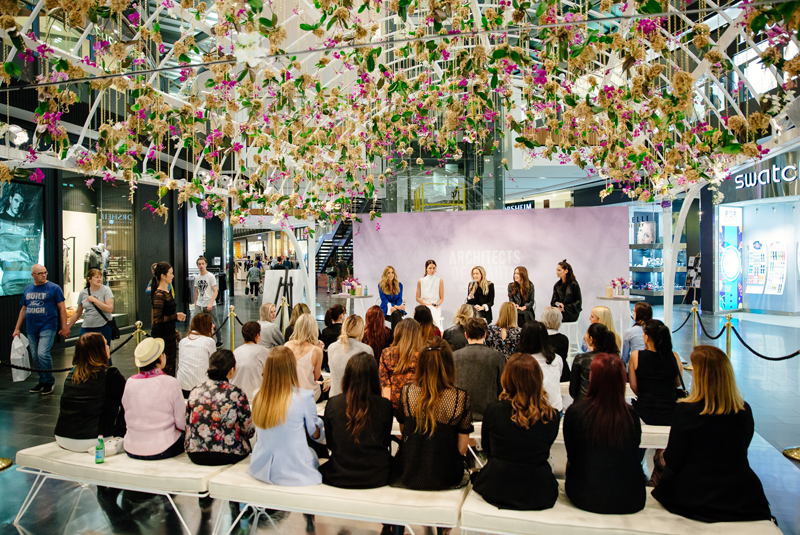 To promote Highpoint Shopping Centre’s strength in the beauty sector and set Highpoint apart from other beauty destinations, Highpoint wanted to create a premium beauty activation in collaboration with brands to engage the consumer. The activation was to include presentations, masterclasses and workshops. The program was to feature ambassadors and external tastemakers with the purpose of creating credibility in the beauty sector and driving PR. To create a signature beauty campaign, creating awareness of Highpoint’s extensive beauty offer and owning the beauty space. AMME brought together the biggest names in beauty to create an inaugural innovation event series, Architects of Beauty. Comprising of 15 different industry-led masterclasses, the program was designed to educate and inspire in the domains of makeup, skincare and fragrance. 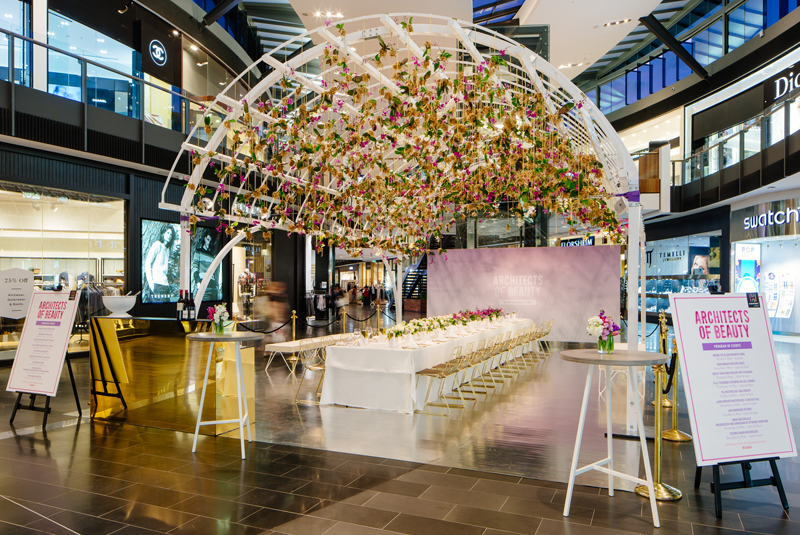 Held in a custom-built installation of over 1,200 orchids hanging from a dome structure, the spectacular event sold at a record rate, with extra masterclasses being added to meet demand. 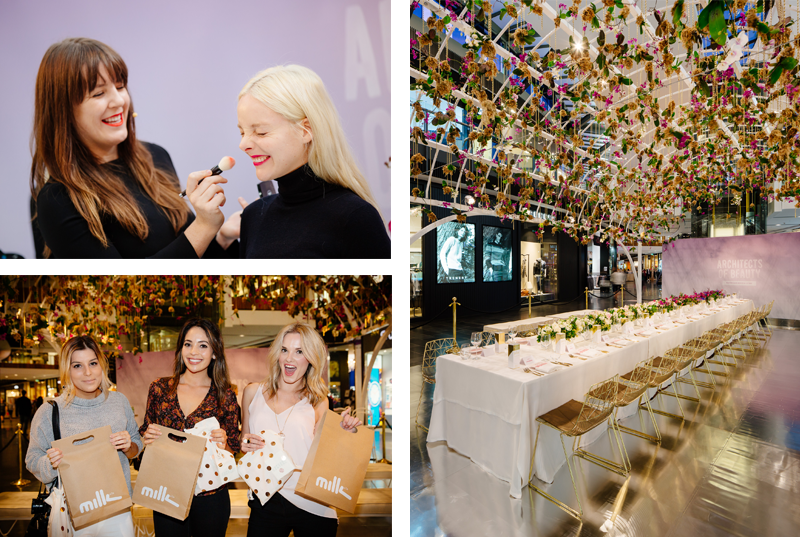 This premier event of the series saw beauty industry thought-leaders share their insights and inspiration in Behind the Blush, an exclusive panel discussion featuring Milk & Co. founder, Lindy Klim, actress Jodi Anasta, blogger Nadia Bartel and FRANK Body founders Erika Geraerts and Jess Hatzis. 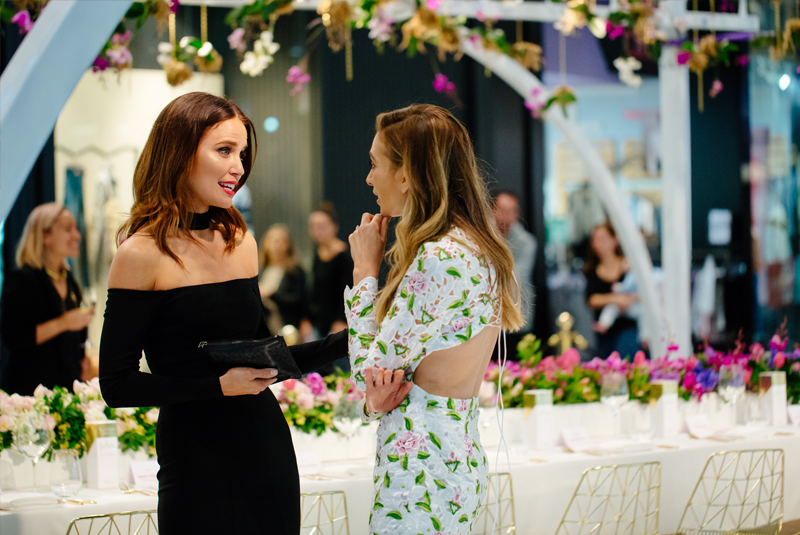 The official makeup artist for CHANEL Australia, Victoria Baron joined the line-up to host an exclusive masterclass, leading beauty retailers including Dior, Yves Saint Laurent, MAC and Lush also held masterclasses. Architects of Beauty was a multi-sensory and immersive experience that drove traffic and encouraged dwell time in the luxury precinct of Highpoint Shopping Centre.